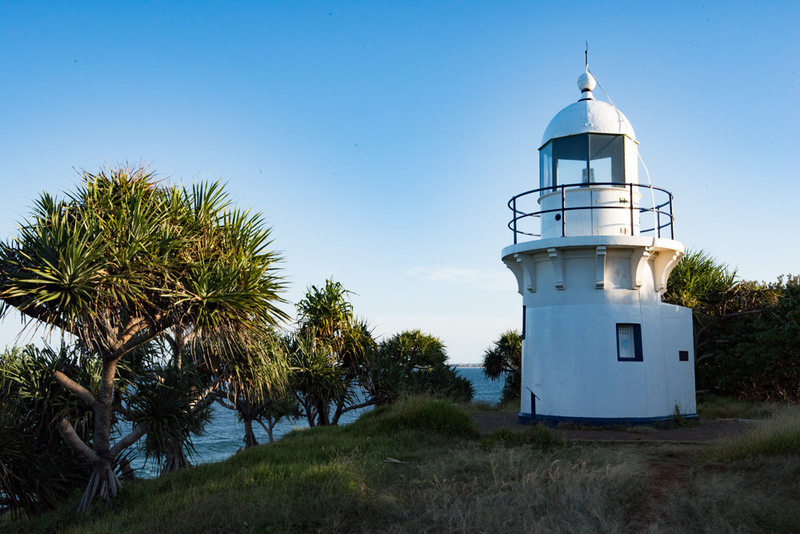 While we were staying on the Far North Coast of New South Wales recently, we decided to take a visit to the very picturesque Fingal Head Lighthouse and Dreamtime Beach for a photo expedition and a bit of well-earned R&R. Luckily it was a weekday and outside of holiday season, as I can’t imagine you’d get to park too close otherwise. The car park that leads to the walking track going up to the Fingal Head Lighthouse takes about 20 or so cars. 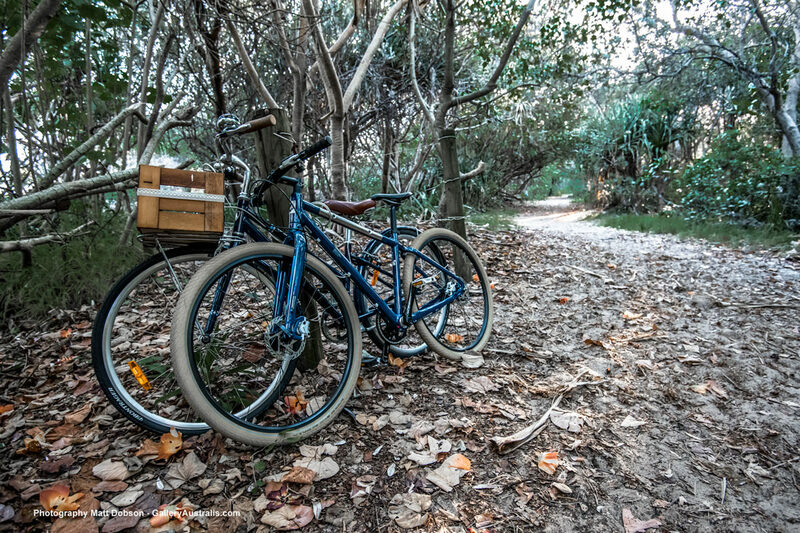 At Fingal Head Lighthouse on weekends or holidays, a pushbike might be a good idea. 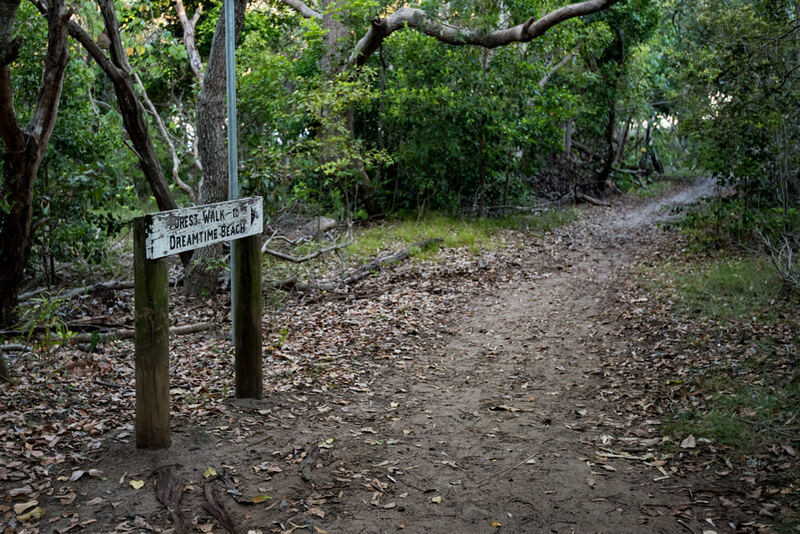 Walking toward the lighthouse is about a 1km walk, and there are paths off to both Dreamtime and Fingal Beaches either side of Fingal Head. 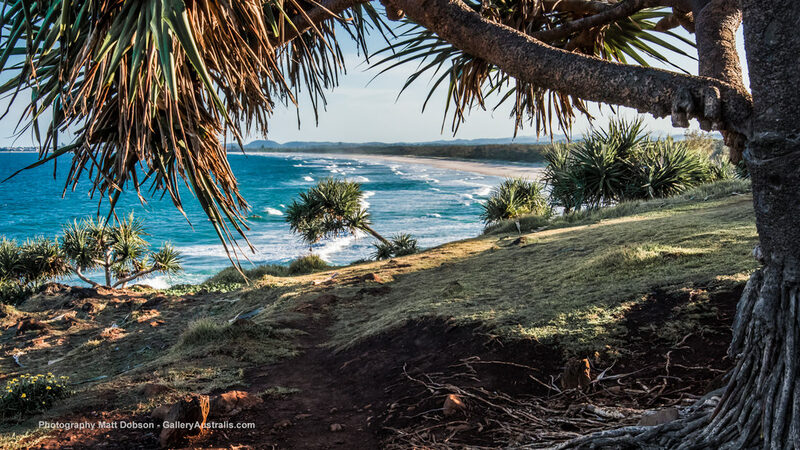 When you get to the top of the trail if you stroll on over to the north of the headland you’ll get a great view of Fingal Beach and the Gold Coast. We got there just before Sunset, so the light was hitting everything just right showing up the whitewash of the waves and shapes in the pandanus trees that are scattered all over Fingal Head. 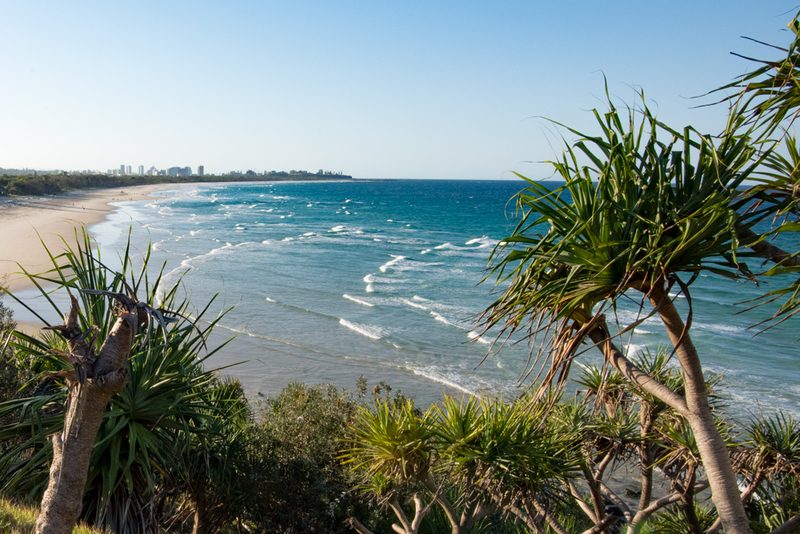 View of Fingal Beach and the Gold Coast from Fingal Head. 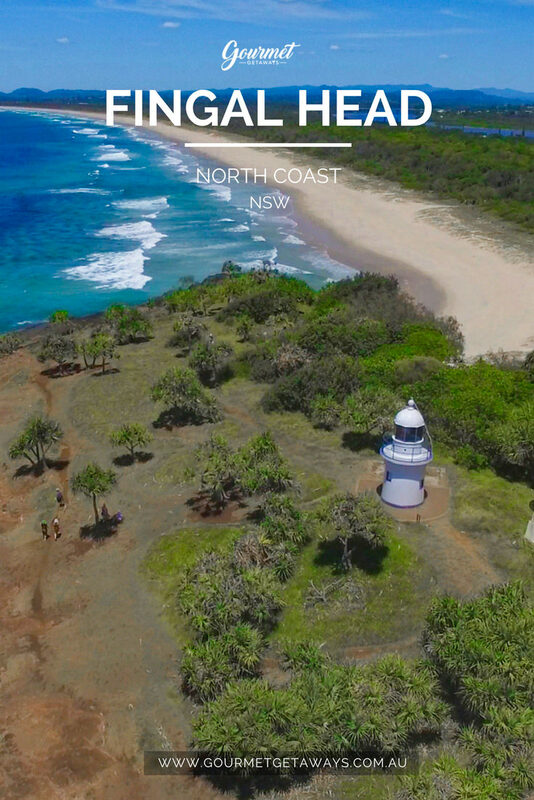 Walking around Fingal head to the south side of the headland you pass the lighthouse and get a great view over Dreamtime Beach down to Kingscliffe. It’s a cool spot just to sit and breathe for a while, next time we’ll bring our dinner with us and hang around a bit longer. The lighthouse is a small one compared to most you’ll find around Australia at just 7 metres tall, built in 1872. We won’t spoil the story, but there are various signs around the place that talks about the history and location of Fingal Head and the lighthouse. Fingal Head Lighthouse is small compared to most you’ll come across in NSW at only 7 meters tall. Built-in 1872. The local indigenous people are the Minjungbal people. Thanks for having us, Minjunbal people. Accommodation is everywhere on the NSW North Coast as people come from everywhere for a holiday. We stayed at the Mantra on Salt Beach, Kingscliff which is located nicely between Byron Bay and the Gold Coast and we couldn’t recommend it highly enough, it was very private, and we had our own plunge pool too. No wonder the NSW State of Origin side books it out. 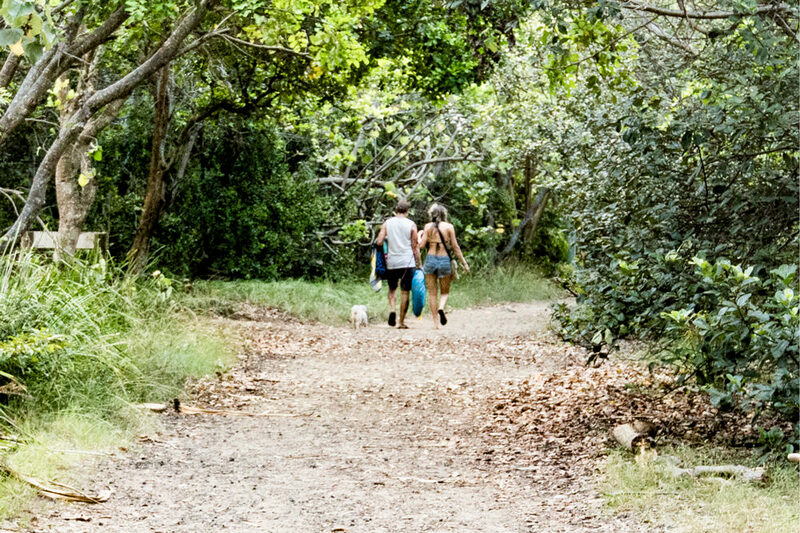 Booking outside school holidays will save you quite a bit of money, but none the less you’ll have a great time whenever you stay at the Mantra. 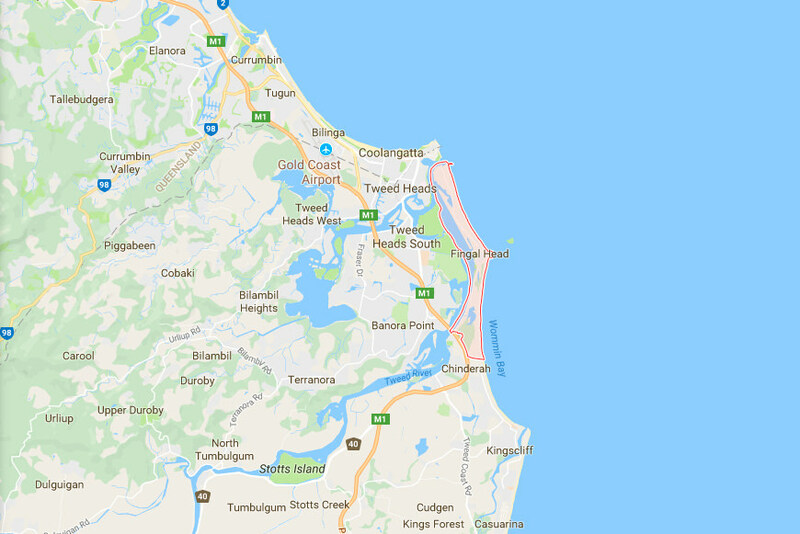 Fingal Head is right on the border of the New South Wales and Queensland just north of Kingscliffe in New South Wales and south of Coolangatta in Queensland’s Gold Coast. If you’re on the North Coast of New South Wales, you should take half a day or more and get up, and around Fingal Head, you won’t be disappointed.